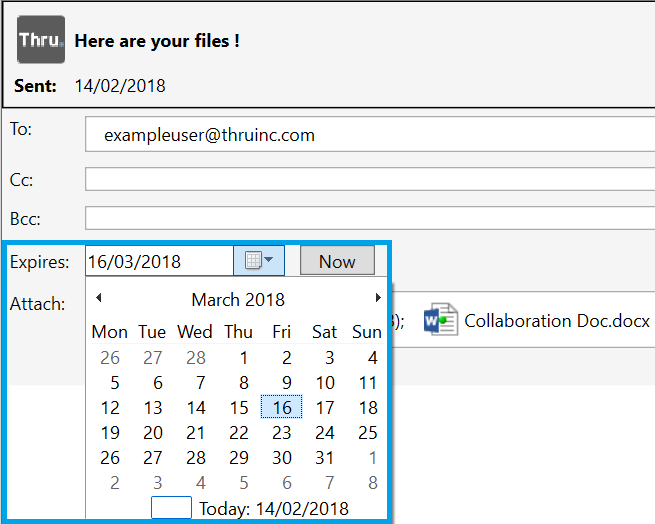 All files and folders sent with Thru have a download expiration date that can be modified at any time. When sent files are expired, they are no longer able to be downloaded by recipients. Click the drop-down arrow next to Expirations in the Edit Thru message window and choose a date from the calendar. 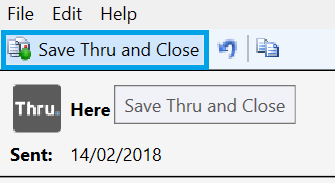 After changing the expiration date, click Save Thru and Close at the top of the window.